SHOAL CREEK, Ala. — Celeste Dao stood on the first tee at the Shoal Creek Club on Wednesday and had her picture taken. 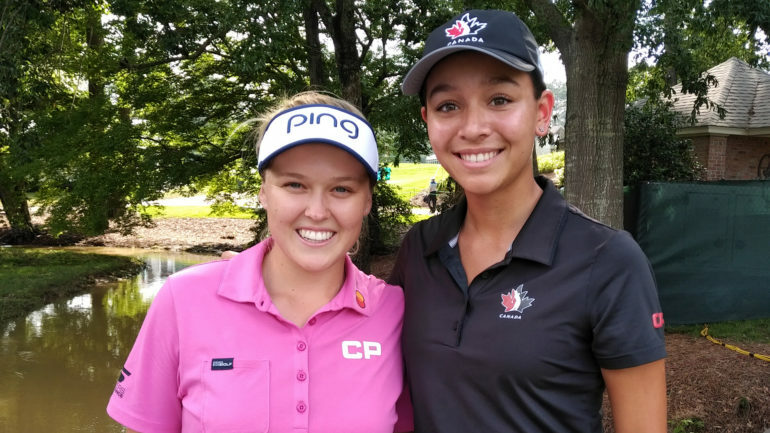 The 17-year-old from Notre-Dame-de-l’Île-Perrot, Que., a member of Golf Canada’s National Development Squad, posed with Canadian star Brooke Henderson before they teed off for a practice round in preparation for the U.S. Women’s Open which gets underway Thursday. 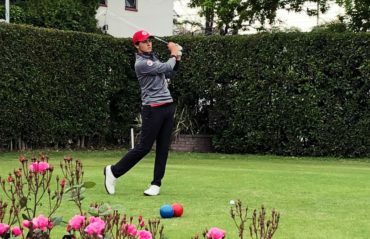 Dao, who qualified for the second major of the women’s season with rounds of 71-69 at Cape Cod National Golf Club last week, wanted to capture a big moment in her young career, a moment she said she never thought she would experience this early in her career. “I would not have imagined me being here. If you asked me in January what were my goals this year, I wouldn’t say being in the U.S. Open. That is a really high level for me. Being here, I’m so, so happy,” she said. 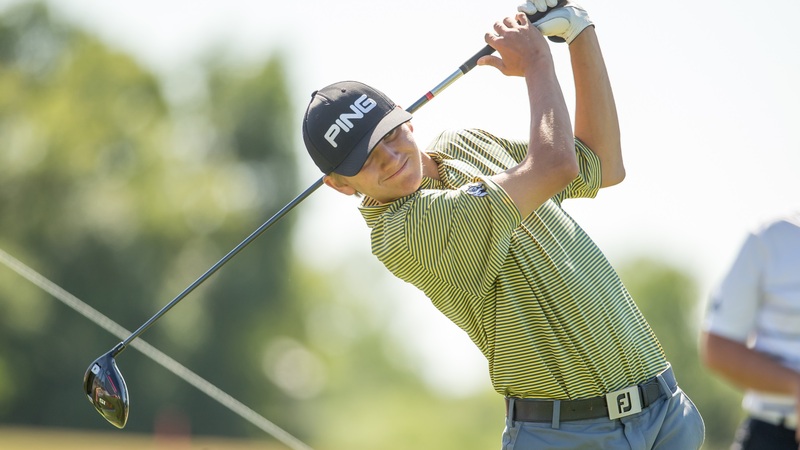 After a practice round with veteran Alena Sharp of Hamilton on Monday and nine holes with Henderson on Wednesday, who were both gracious to take a young player under their wings the week of a major, Dao was thrilled with the experience. “It was great, playing with the best in Canada,” she said after her round Wednesday with Henderson. What did she pick up? “(Henderson)’s great around the greens. I was looking at her and how she managed to take notes of the greens with her sister (her caddie, Brittany) and calculating everything. She does that much more than me. 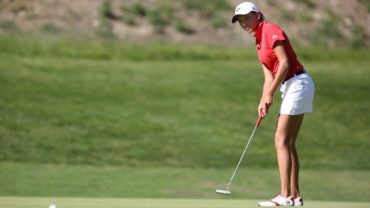 It was really fun to watch that and how she spots her targets off the tee,” Dao said. Henderson, 20, said she was happy to oblige Dao and recalled her days as a teenager (not so long ago) and the thrill of being on such a big stage. Dao said Sharp gave her some tips on how to manage her nerves on the biggest stage in women’s golf. “She talked to me a lot, just giving me advice to manage the stress on the first tee. She said stick to the routine. Breathe and stick to the routine. It’s normal to feel stress. Enjoy the moment and go,” she said. Dao has spent the past three months in Victoria, BC, with the national development squad. 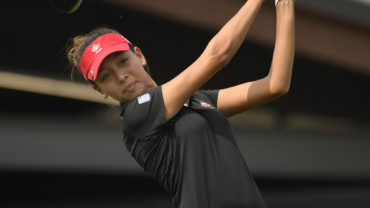 She had her first international victory at the beginning of the month when she won the Mexican Junior Girls Championship with a final round 66 and prevailed in a three-hole playoff over Mexico’s Corey Lopez. The experience here at the U.S. Open is going to help her the rest of this season, she said.